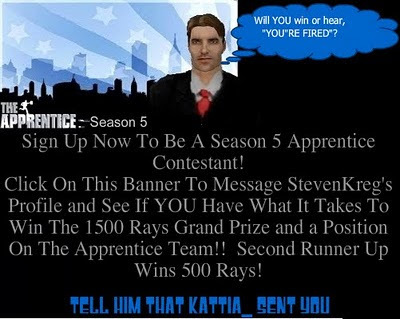 Redlightcenter events: Apprentice: Season 5...Sign Up NOW To Be A Contestant! Grand Prize 1500 Rays!!! 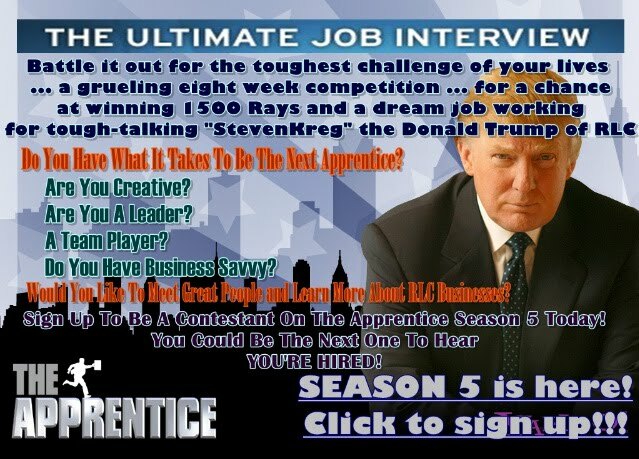 Apprentice: Season 5...Sign Up NOW To Be A Contestant! Grand Prize 1500 Rays!!! Go To www.utherverse.com/StevenKreg and Message StevenKreg's Profile To Sign Up! Be Sure To Tell Him That kattia_ Sent You!